This project implements a low cost portable NTSC video pattern generator for testing monochrome video systems regarding gain and resolution. The circuit provides a video output with voltage and impedance according with the RS-170 standard. A CR2025 coin cell powers the circuit that it is automatically activated when the output plug is connected. 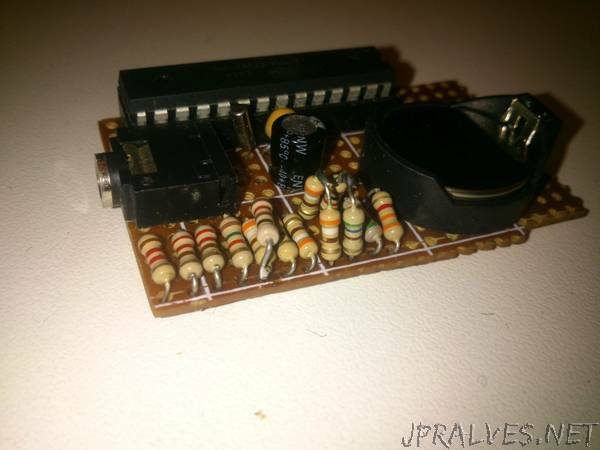 The heart of the project is the ATTiny85 running with internal PLL thus providing 6 pins for generating the video signal, being 5 used for luminance and 1 for synchronism.